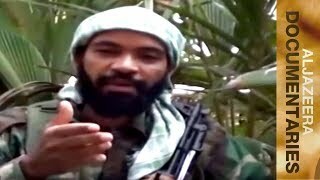 มหาวิทยาลัยประชาชน (Official): Fwd: เครือข่ายมดแดงล้มช้าง Official sent you a video: "Featured Documentary - Kenya's Enemy Within"
Fwd: เครือข่ายมดแดงล้มช้าง Official sent you a video: "Featured Documentary - Kenya's Enemy Within"
In an attempt to shield itself from the armed group al-Shabab, Kenya has started construction on a 700km-long wall along its porous border with Somalia. The ambitious project, which consists of brick walls, fences and observation posts, will stretch from the town of Mandera in the north to Kiunga in the south. The goal is to lock out al-Qaeda-aligned fighters who have repeatedly crossed into Kenya to wage attacks. Kenya, an al-Shabab target due to its military involvement in Somalia, has seen an upsurge in large scale attacks recently. Earlier this year, 148 people, including 142 students, were killed after gunmen stormed the Garissa University College, some 200km from the Somalia border . The massacre piled new pressure on Kenyan President Uhuru Kenyatta to deal with the group which has killed more than 400 people in the country over the past two years.